EA's new Battlefield game has had an unimpressive start in the new UK top 40, as Black Friday casts its shadow over the charts. It's been increasingly difficult to tell what's going on in terms of UK video game sales this year, as the majority of sequels post massive drops that seem to go far beyond just a natural drift towards digital downloads. 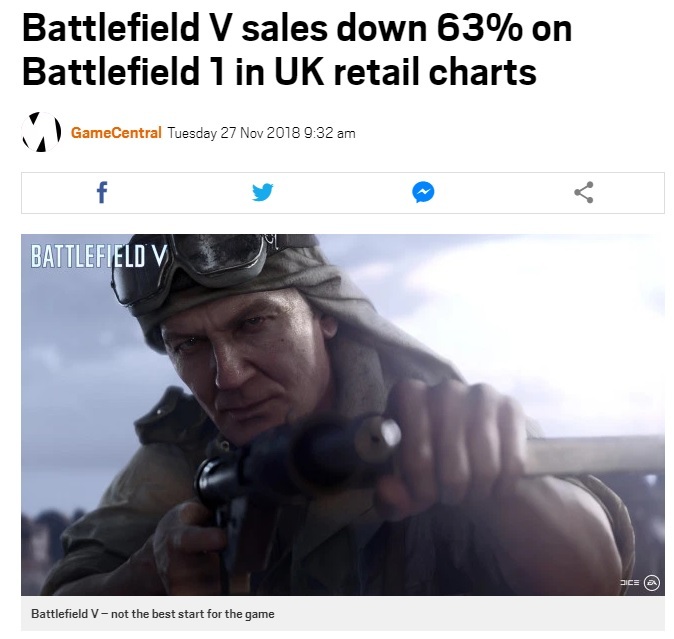 Digital sales are not included in any UK chart but with Battlefield V it's especially hard to tell what's going on, even when a glance at the charts suggests that whatever it is it's not good for EA. 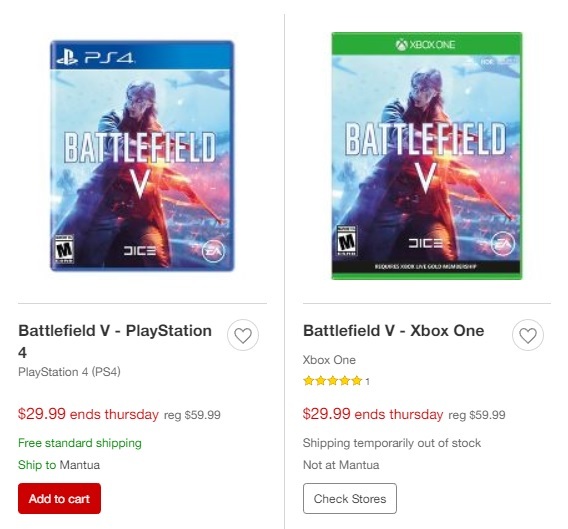 Not only did Battlefield V launch three days before Black Friday, which itself has become a week-long event now, but its bizarre, staggered release date means it's been available to some customers -- who paid extra for the privilege -- almost two weeks prior. Sales were down more than 63% on 2016's Battlefield 1, which is well above the average rise in digital sales. 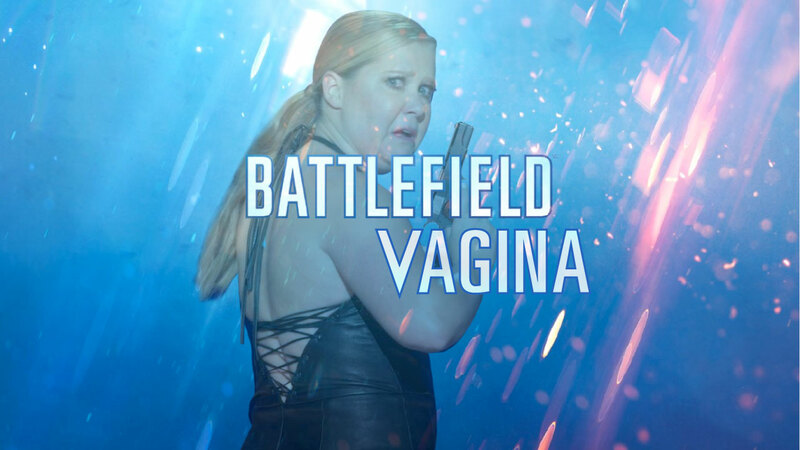 The game had a terrible launch which spawned the hashtag #NotMyBattlefield after the trailer featured a woman with a hook hand fighting in frontline combat in WW2. 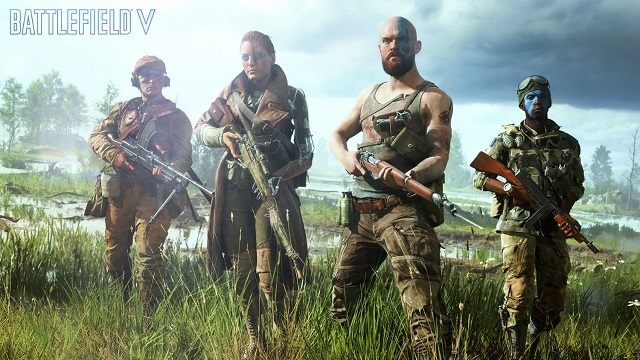 The games' design director, Alan Kertz, who describes himself as as "liberal" and "feminist," justified the move by saying he didn't want to tell his daughter she can't make a character that looks like her "because you're a girl." Needless to say, it didn't go over very well.